Also known as: Inflatable Santa's Grotto Hire, Grotto Hire, Christmas Grotto Hire & Santa's Grotto Hire. Our favourite time of year it’s the season to be jolly, we love spreading the happy joy across the UK. Celebrate Christmas with one of our Santa’s Christmas Grotto hires. December can be an extremely busy time for you personally, so when you have to plan events for family/friends and your workplace, it can be hectic. Let us take away the stress of organising your festive office parties, winter weddings and outdoor public occasions. 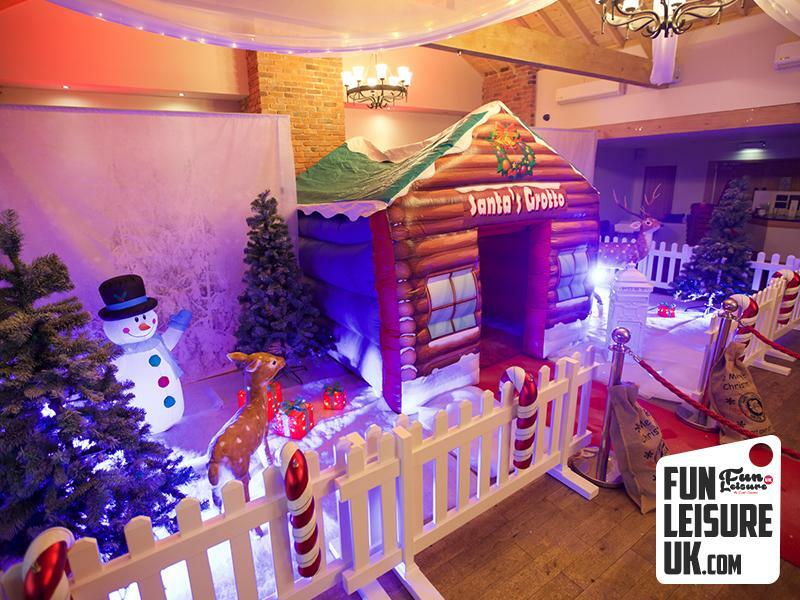 To help assist we've put together three Festive Christmas Grotto packages available for Lancashire and Nationwide hire. 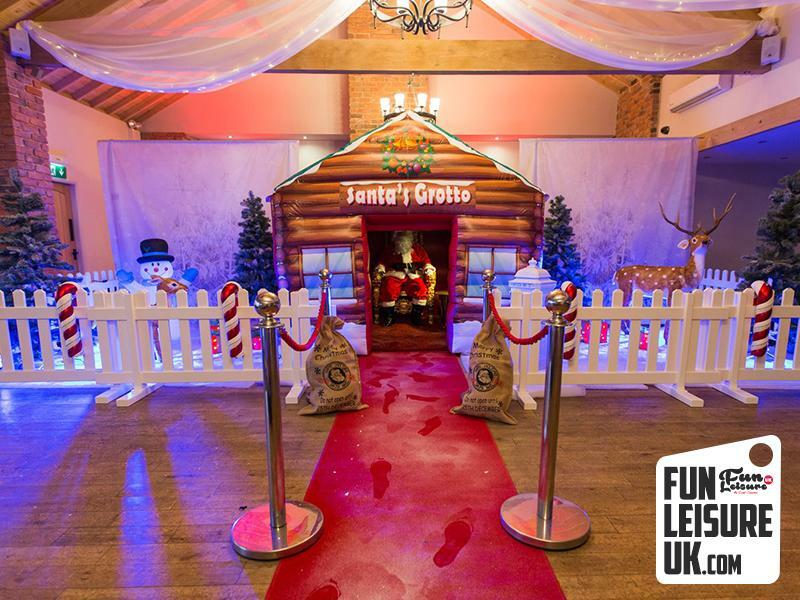 Fun Leisure’s professional Santa’s Grotto hire is ideal to make you event magical with a vast selection of grotto themed props. We have three Farther Christmas grottos available, and each of them in their right provides festive spirit for people of all ages. Depending on your venue size and location, you have the ability to pick a package that’ll suit your needs; Bronze, Silver & Gold. These can be used indoor and outdoor; Santa Claus will not mind. 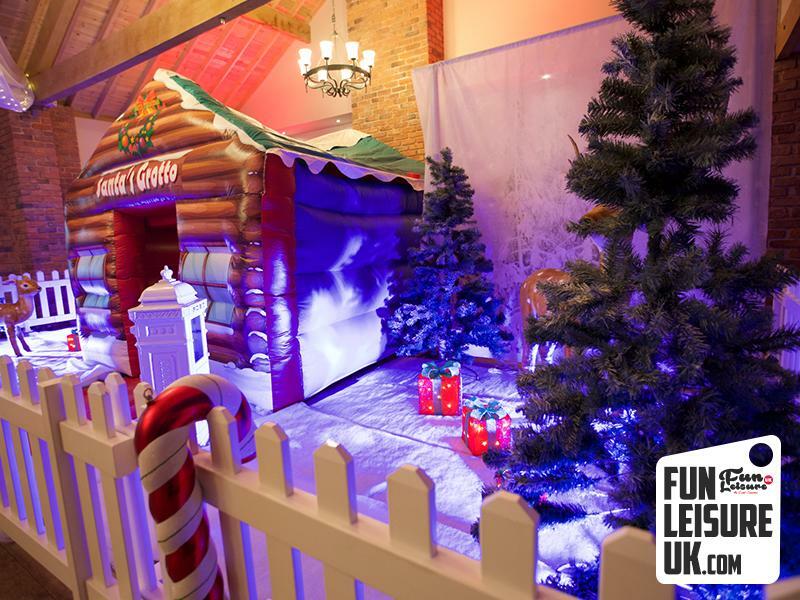 This is Fun Leisure's largest Grotto package, consisting of an inflatable grotto, picket fencing and props. With this gold Christmas grotto package being the ultimate festive experience, jam packed with props and festive goodies to make your event be remembered all year round. This Santa’s Grotto hire leaves no Christmas tree unturned. Take the feel good Christmas feeling in with an amazing array of lifelike props, fake snow, realistic characteristics and beautiful backdrops. Santa’s favourite package and for a good reason to! Please see below the full contents of the Gold package. Why not visit our Christmas Entertainment hires! Including Snow cannons, Santa’s Thrones and Christmas side stall games.